Welcome to CME on ReachMD. This activity, entitled: Mechanisms of Pressure Relief in Glaucoma: Pharmacologic & Surgical Advances is jointly provided by Postgraduate Institute for Medicine and HealthMatters CME. This activity is supported by independent educational grants from Aerie Pharmaceuticals, Inc., Alcon Pharmaceuticals Ltd, and Bausch & Lomb, Inc. 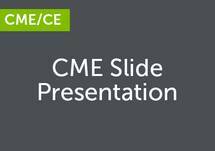 The following segment was recorded at a live CME symposium and shortened for this broadcast. To listen to the program in its entirety, and to review the faculty information and conflict of interest disclosure statement, please visit ReachMD.com/GlaucomaAdvances. We have a really rapid change in the patient population that we are going to be treating as people become older and live longer. We will not have enough ophthalmologists as time goes on. We are spending a lot just to take care of our patients and, if you look through your days when you care for glaucoma patients, a lot of what you are doing is really ineffective. We do have greater and better technology. We can monitor people with devices better than we used to and that opens up a window for a new paradigm of care. We now have many ways to test patients with electronic devices. We can use a chart, an iPad or a telephone to measure visual acuity. We can measure pressure with a noncontact device that does not require anesthesia, or with puff, or with the traditional methods. We have ways to take photos with easy, portable, handheld or mounted devices. We can even use an iPhone or other low-cost digital cameras. And then OCT is becoming more and more portable. There are even devices that self-actuate so that you can just put the patient in the chair. So here we have panoply of instruments. We can use them in a kiosk in the middle of the mall, or set them up in many locations. Technicians could collect the data for us. We would know the pressure, the fundus, whether the fields were stable or not, whether the OCT was stable or not, and we would not have to touch the patient. And then we could spend a lot more time counseling and advising our patients, which is really probably one of the most important things that we do not do well enough. And so we can do a much better job if we centralize some of the testing. Technology can greatly help us and now we have very nice software on many different companies’ devices. As these technologies get better and better, as machine learning develops, we can apply that in a centralized location far more easily than in the current dispersed technology environment that we have. One of the nice things that we can do as well is use structure and function together, which can greatly assist us in diagnosing. There is very good evidence that this is doable in developed countries. The UK has greatly eliminated most severe diabetic retinopathy through photo screening, remotely, done by technicians, just as we can be doing for glaucoma care for much of the care we do. So what I am arguing here is we could have better integration of data, we could have more resources allocated to interpreting, to machine learning, to determining who really is getting worse, and a physician with better data and more time to interact with those who need the time. We often make the determination of worsening over a very short period of time, staring at some printouts instead of using our facilities as best we can. And we can rapidly upgrade to better and newer technologies as they become available for our patients. So what we would do is test at ancillary locations for most patients, and then you would have those who really had an issue come in for a much longer discussion about the options for treatment and care and that would seem to me a far better approach than what we are doing today. In the office of tomorrow, the data would be collected remotely most of the time, a physician would have many screens that show all the data—Captain Kirk looking over the Starship Enterprise—and then ancillary staff would relay the findings to the patient and we would then bring in those who need longer visits to discuss surgery or changes in care. Populations, as I noted, are aging and growing. Our resources today are finite, physician supply is not growing, and technology is improving. All we need to do is start thinking a little more clearly about the logistics of delivering better healthcare. It is hard to believe that it has been 21 years since latanoprost hit the market and was approved by the FDA and that we do not have another glaucoma drug yet. Tonight I am going to tell you about a couple of drugs: one that has recently been approved and another one that is awaiting approval by the FDA. Over the 20 years since latanoprost has been approved, we have learned a lot about the outflow system of the eye and this has fed the development of these two drugs that have made it through Phase III trials. So just to review: intraocular pressure is a function of a variety of parameters. The first is the rate of flow into the eye, the aqueous into the eye, then its removal by the uveoscleral outflow pathway and the conventional outflow pathway. And that is against the back pressure of the episcleral venous pressure. So if you have a very robust outflow, small changes in inflow are not going to matter too much. So the diurnal fluctuations in that patient are not going to be as big a deal. But if you have a patient that has a compromised conventional outflow pathway, like happens in ocular hypertension, then all of a sudden changes in flow that happen over the course of the day are going to have dramatic impact on the fluctuations that that eye sees. All the clinical trials so far have shown that pressure is important and lowering pressure, whether you have ocular hypertension or normal tension glaucoma, means you’re going to do better. As a matter of fact, the lower you get the pressure, the better the outcome. Of course, the problem is getting that pressure down low enough without surgery. Medically it is very challenging. Data from some of these recent trials show that it may be possible with some of the newer drugs. So how do we lower pressure? We can inhibit the fluid flow into the eye and that has been around for quite some time, including drugs like adrenergic blockers, carbonic anhydrase inhibitors, and alpha 2 adrenergic receptor agonists. So you can increase the uveoscleral flow, the secondary flow pathway in the eye by prostaglandins. And last, of course, is increasing conventional outflow and there is none currently available in the U.S., although hopefully soon. So why do we need an outflow drug? Well, the majority of the flow goes through the conventional outflow pathway, so the uveoscleral pathway is the minor route, although that is what we’re targeting in terms of outflow currently. We want to avoid interventional treatments like surgery and laser if we can. And theoretically they should be added to the current drugs, so we should get more bang for the buck if you have a conventional drug. But getting back to the big thing, what Warren Grant taught us, is that the conventional track is the disease pathway, so targeting the disease pathway makes a lot of sense. You’re going to get better perfusion of these tissues in the cells, you have a possibility of stimulating, there is an androgynous stem cell population in the outflow track to stimulate those cells, to divide. And again, getting back to this point, if you have higher facility you are going to lower, you are going to dampen, those fluctuations in the eye. So the two classes of drugs that have made it through Phase III trials are the rho kinase inhibitors and the nitric oxide. In the U.S. we have two drugs, we have netarsudil, which is a rho kinase inhibitor that is awaiting approval, and latanoprostene bunod, which was just approved by the FDA not too long ago and will soon be in patients. What I am going to do is first talk about the mechanism of action of these drugs and then talk about just some highlights of clinical trials. So latanoprostene bunod is a combo drug. It has latanoprost and then has an ester linkage and then has a nitric oxide donor. The prostaglandin goes off to increase uveoscleral outflow, and then the nitric oxide part goes to impact conventional outflow. It turns out that there is an androgynous system in the conventional outflow track, so it turns out Schlemm’s canal cells make nitric oxide and that affects the contractility status of the TM. The result is you relax the TM, you get more fluid through other tissue, and you lower pressure. So rho kinase inhibitors: how do they work? So they inhibit rho kinase. Well what that does is shifts the curve so that now this phosphatase in the cell is dephosphorylating myosin light chain, which inhibits contraction or relaxes the cell. And in studies with perfused human eyes looking at how it is working, it increases conventional outflow directly. It does so very fast suggesting that it is a contractility issue. It can relax a cell very quickly, within 30 minutes, and it can get up to 60% increase in outflow by three hours. Now looking at latanoprostene bunod, the Phase III APOLLO study and the LUNAR study was the same design and saw very similar results. The patients’ pressures were dramatically lower compared to timolol. In another study, the VOYAGER Phase III trial, where it was an increasing dosing study of latanoprostene bunob and it was up against the latanoprost to see if the nitric oxide component of this or the additivity, and with increasing concentrations of the drug you saw a decrease in the IOP. Well it turns out that latanoprost has its maximal effect at .005%, so getting more of the latanoprost doesn’t matter, but getting more of the NO actually gave you more benefit. In this case it was about 1.5 mm benefit with the drug. When looking at the 12-month safety study the efficacy was shown to persist. So lower tension glaucoma was efficacious and the similar things you would find was just latanoprost by itself, obviously conjunctival hyperemia and growth of eyelashes, iris pigmentation, those sorts of things were happening in this patient population. How do we think this actually works? Most of us right now we have a healthy TM, but as we age and as we’re exposed to a variety of environmental conditions and maybe some genetics, the TM will fibrose and stiffen and contract as a result. You are going to decrease the perfusion of aqueous through that tissue, less nutrients, antioxidants, you get cellular distress, and you get this sort of vicious cycle that starts building up. And that results in elevated IOP and vision loss eventually in folks. So what happens if you give them a drug that decreases this contractility? Where you’re going to reduce this fibrosis or this contraction state you’re increasing the perfusion and you’re stopping the cycle, you’re getting more nutrients, antioxidants, you have less cellular stress, and hopefully that is, it does lower IOP and we’ll see if it preserves vision. So just to summarize, the take homes, conventional outflow dysfunction is responsible for ocular hypertension and if you effectively lower IOP you can preserve vision. There is no medication currently available that primarily targets the conventional outflow pathway but it will soon be available hopefully. In the third symposium presentation, Dr. Steven Gedde spoke on Mechanisms of Pressure Relief in Glaucoma: Surgical Advances for Refractory POAG or Non-Adherence. Here is your speaker, Dr. Gedde…. Trabeculectomy was popularized by Cairns in the late 1960s and as you know this involves the creation of a partial thickness scleral flap and a hole is made into the anterior chamber underneath that scleral flap, and then the scleral flap is sutured to the scleral bed with multiple interrupted sutures. And the tension and the number of those flap sutures are really what control the percolation of aqueous humor at the surgical site. If the operation works well it produces a collection of aqueous in the subconjunctival space and we see a filtering bleb. We can actually cut those sutures with laser suture lysis postoperatively and that means that trabeculectomy is a titratable procedure. We can actually staircase down the pressure with suture lysis and that titrate ability is a characteristic only of trabeculectomy. There is no other glaucoma procedure that we are going to discuss today that offers some titrate ability and I think that is an underappreciated asset of this procedure. Antifibrotic agents like MMC and 5-FU are routinely used as adjuncts for trabeculectomy and have been shown to improve the success rate of the operation but unfortunately they’ve also been shown to increase the risk of complications, hypotony, hypotony-related complications and also bleb-related complications including leaks, infections, and dysesthesia. I think it is that concern about bleb-related complications that has prompted many surgeons to consider alternative surgical approaches. I think tube shunt surgery has been one of the major alternatives used for trabeculectomy and we’re seeing some interesting trends in glaucoma surgery. Actually the number of trabeculectomies performed in the U.S. between 1994 and 2012 has been gradually decreasing It is likely related to advances in medical therapies, as well as the introduction of selective laser trabeculoplasty. But what I find interesting is during the same time frame there has been a steady increase in the number of tube shunts placed in the U.S. Aqueous shunts all share a common design: they consist of a tube that is connected to an end plate. The tube is generally inserted into the anterior chamber, it shunts aqueous humor to an end plate that is located in the equatorial region of the globe, a capsule forms around the end plate and when aqueous flow occurs through these devices aqueous pools in the potential space between the end plate and the surrounding capsule, it then passes through the capsule through the process of passive diffusion and is absorbed and this is a mechanism of pressure reduction. Aqueous shunts differ in their design depending on whether they do or do not include a valve-like mechanism that restricts flow through the device if the pressure becomes too low. The Ahmed is the valved aqueous shunt and the Baerveldt/Molteno are examples of non-valved aqueous shunts. Traditionally these devices have been reserved for eyes at high risk of failure with trabeculectomy, although I think the indications for their use have been gradually expanding. 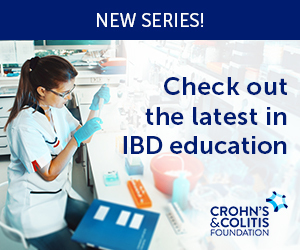 There have been several recent multicenter randomized clinical trials that have investigated aqueous shunts and two of them include the ABC, or Ahmed Baerveldt Comparison study and the AVB, or Ahmed versus Baerveldt study. These two studies recently pooled their data and here are the recently published results. The Baerveldt implant had a higher success rate and provided greater degrees of pressure reduction compared to the Ahmed implant. Now the pooled data has not looked at complication rates, but I will indicate that each of these studies separately have reported that the Ahmed implant seems to have more favorable safety profile compared to the Baerveldt implant. The TVT study is another multicenter randomized clinical trial comparing tube shunt surgery and trabeculectomy surgery in eyes that have had previous ocular surgery, in particular either cataract extraction or failed filtering surgery. Those patients were randomized to receive a 350 Baerveldt or a trabeculectomy with MMC and it found that patients that underwent tube shunt surgery had a higher success rate or lower rate of failure compared to trabeculectomy. A more recent study, similar design, called the Primary Tube Versus Trabeculectomy Study is taking patients without previous incisional ocular surgery and randomizing them also to a Baerveldt implant of trabeculectomy with MMC at a lower dosage of MMC. One-year results from this study showed that the cumulative probability of failure was higher with tube shunts surgery than trabeculectomy surgery, so an opposite result of the TVT study, and I think shows us that whether a patient has had prior ocular surgery or not may influence the choice of the best surgery in the line of traditional glaucoma surgery. The EX-PRESS implants non-valved stainless steel tube negates the need for a sclerostomy or an iridectomy. When this device was initially introduced it was associated with a very high rate of hypotony and extrusion but it was quickly realized that this should be implanted under a scleral flap and then the complication rate became much more acceptable. Similar long-term safety and efficacy has been demonstrated with the EX-PRESS implant in trabeculectomy A randomized prospective study compared the EX-PRESS to standard trabeculectomy and after two years of follow-up similar success rates and similar pressure reduction were seen with both treatments. Interestingly there was an earlier return of visual acuity in the EX-PRESS group, although after two years there was no significant difference in visual outcomes. Non-penetrating glaucoma surgery involves excision of corneoscleral tissue under a scleral flap and leaves a thin window of trabecular meshwork and Descemet’s membrane to provide resistance to aqueous outflow. The advantage of these procedures is that they reduce the risk of hypotony although they are technically more difficult and deep slerectomy, viscocanalostomy, canaloplasty are all examples of non-penetrating glaucoma surgery. In a small prospective randomized trial comparing trabeculectomy and non-penetrating deep slerectomy, trabeculectomy had a higher success rate and lower levels of intraocular pressure. Endo cyclophotocoagulation involves treatment of ciliary processes under direct visualization with an endoscopic camera and laser. This is a procedure frequently combined with phacoemulsification and provides moderate pressure reduction. CME is a problem with this procedure, in fact the most common cause of vision loss. Minimally invasive glaucoma surgery is a term that was coined by Ahmed and refers to a newer group of procedures that share some common characteristics. They are done by an Ab interno approach, they involve minimal trauma to tissue, they are modestly effective in providing pressure reduction, and they have an excellent safety profile and a rapid recovery of vision post-operatively. These procedures are commonly done in conjunction with phacoemulsification and they are certainly growing in popularity. Ab interno trabeculectomy or Trabectome involves electrocautery removal of a strip of trabecular meshwork in Schlemm’s canal. A recent meta-analysis involving 14 papers and over 5,000 patients indicated that the mean reduction of pressure was 31% and the success rate at two years was 66%. Interestingly, prior studies have shown that laser trabeculoplasty and prior trabeculectomy does not influence the results of Trabectome. Here is a retrospective comparative study of trabeculectomy and trabectome as the primary standalone procedure and the probability of success was much higher with trabeculectomy compared to trabectome and that is consistent with I think most of us, our clinical impression. Trabecular microbypass stent, or iStent, is a snorkel shaped device made of heparin coated titanium that is inserted in Schlemm’s canal. It has been FDA approved for use in cataract extraction in patients with mild to moderate glaucoma. Randomized clinical trials have shown that it is more effective in reducing intraocular pressure and the need for medical therapy than phaco alone. There is growing evidence that suggest that multiple eye stents can provide greater pressure reduction than a single stent. Here are results from a pivotal trial that was used to gain FDA approval of the eye stent. The primary outcome measure in the study was an unmedicated pressure of less than 21, and a secondary outcome measure was an unmedicated reduction of pressure by at least 20% below baseline, and both of those outcomes favored the phaco eye stent group over phaco alone. CyPass is a flexible 6.35 mm fenestrated micro-stent with an internal lumen of 300 microns. This is inserted into the suprachoroidal space using a guide wire and it shunts aqueous humor from the anterior chamber to the suprachoroidal space using a pressure gradient. Here are the two year results of the COMPASS trial, a multicenter clinical trial comparing phaco plus CyPass to phaco alone. The proportion of patients that achieved at least a 20% reduction in pressure was higher in the group, in the phaco CyPass group than phaco alone, and also the mean intraocular pressure unmedicated was lower in the phaco CyPass group than the phaco alone group. The XEN gel stent is a 6 mm tubular collagen implant, implanted translimbally. This device is inserted using a 27 gauge needle inserter by an Ab interno approach and it drains aqueous humor into the subconjunctival space as does trabeculectomy which limited clinical data with this device, but there appears to be quite a high rate of needling that is required to keep it functioning, somewhere between 32% to 47%. This is a recent retrospective study comparing the XEN gel stent trabeculectomy both with the adjunctive use of MMC as a primary standalone procedure and using various definitions of success and failure. There was no significant difference between trabeculectomy and the XEN gel stent. Gonioscopy-assisted transluminal trabeculotomy, GATT, involves the micro-catheter suture inserted by an Ab interno approach to perform a 360 trabeculotomy and hyphema is the most common complication of this procedure. The Kahook dual blade is a single-use ophthalmic blade that is used to remove trabecular meshwork. The blade has a pointed tip that allows it to pierce the trabecular meshwork, a ramp that elevates and stretches the TM and the dual blade excises a strip of TM. The footplate is designed to prevent collateral damage to tissue. And the TRAB 360 involves the cannula that is used to incise the TM and introduce a flexible Trabectome over 180-degrees. The filament is then retracted and the device rotated and the procedure can be performed in the opposite direction to create a 360 goniotomy. There are a variety of procedures that are in various stages of FDA approval right now. The InnFocus MicroShunt is a translimbal implant inserted by an Ab externo approach. The Hydrus Microstent and iStent injector, two Schlemm’s canal implants in FDA trials and the Gold MicroShunt is a type of suprachoroidal shunt that is actually available in Europe and not in the United States and iStent Supra is currently under investigation. So in summary, the surgical options for managing glaucoma are rapidly expanding. Traditional glaucoma, namely tubes and trabs, really are very effective in providing pressure reduction but surgical complications are common, albeit most of them are transient and self-limited, and MIGS are a newer group of procedures that offer an improved safety profile but unfortunately are not as effective in lowering intraocular pressure. There is one company that has developed a drug delivery system through a scleral ring. It is able to incorporate drugs into a polymer. They had almost no safety concerns and the vast majority preferred it to regular drops and doctors also thought it was easy to use. So this is a validated platform. It can deliver drug to patients and the drug can last for up to six months in this vehicle and a patient can, by just observing, see whether or not the ring is in place. There is a company developing drugs that can be delivered into the suprachoroidal space. It uses a short, sharp needle and as it pops into the suprachoroidal space you feel the easing. And then you can deliver drug and they’ve shown that this drug can be made to migrate around the choroidal space and be delivered into the macular region and elsewhere. There is ongoing research with this drug. Obviously this is right next to the retina so the focus has been on macular edema, neovascular macular degeneration and they have completed some Phase I/II studies and they are starting Phase II/III studies on macular edema. Injections have to be repeatedly given every 12 weeks, which is a little bit off of our normal glaucoma timeframe, and they are thinking about looking into glaucoma medicines to deliver. It would likely eliminate almost all side-effects. There would be very low drug requirement because you would be putting the drug right where you want it to be, particularly if it is a neuroprotective agent. But what would be the potential long-term harm to the retina or choroid of repeated injections is unknown, and that is a very important area because of the blood flow. And dosing frequency if it is too common may exceed examination frequency which would mean you would have to add exams and that is a logistical difficulty. There are intracameral injections. They can print the particles on the carbon kind of template and the particles can be made very small and then they can be put in to the anterior chamber. This is in early development but they show very large drops from baseline over very long periods of time. So this is a 30% change over six months. The current product is using travoprost, they are in stage two evaluation and this long duration of action could be interesting. There are companies developing bioerodible subconjunctival implants. These are in a membrane and then the drug core slowly will release it. You can either imagine these being sutured to the sclera or these could be placed under the conjunctiva if they stay in place properly. There is a core filled with drug that can be released gradually over time and they are quite small. They have ongoing Phase I and II studies. They are looking at retinal products that have had duration of as long as two to three years. So that is really quite impressive and if we could know that these things worked for such a long period of time that could really be a game changer. And then there are bioerodible tear ducts. This approach has been tried for a very long time and there were many issues with these plugs falling out and that is a real problem, especially if you are unaware of the fact that they fell out. But now there appear to be devices that really stay snugly in there, but they are so snugly in there that you really can’t remove them. And so these are very small. They can be loaded with drug and they can deliver drug for an extended period of time and you can actually see where it is sitting. There is a Phase III completed for dexamethasone for after cataract surgery and actually that might be a very nice use of such a drug, you can take the patient out of the drop taking behavior after surgery. They started a Phase I trial with timolol versus travoprost and they found that they were able to lower pressure with one administration for three months, minimal side-effects. It is easy to place, it is likely to be accepted by the patients. It is hard to remove and really probably almost impossible to remove these once they are in place, so if there is any drug reaction, if there are side-effects, if there is excessive tearing of the patient, all of those would become a problem once they are in place. And it may be if it is every three months that that is just not long enough because we’re not going to want to see our patients every three months—although, you could always adapt your clinic to have a drug placement day or something. And then there are these nanoparticles. These can be created to have drug in them and to deliver drug over an extended period of time and these can be placed in subconjunctival space and can be delivered. So this could be another way to give long-term drug to patients and perhaps glaucoma agents. In summary, our medical therapy is clearly in evolution. We just heard how surgery is in evolution, but I also think most of us would rather not operate if we don’t have to and if we could have longer delivery of medicines that were more effective for patients that would be fantastic. There is going to be all kind of adaptations that we as clinicians are going to have to make to these new regimens if it involves an injection, a placement, or whatever, we are going to have to figure out how to incorporate that into the practice. Glaucoma experts will discuss new pharmacologic and surgical advances in primary open-angle glaucoma (POAG) and ocular hypertension. THIS ACTIVITY IS NO LONGER AVAILABLE FOR CREDIT. Glaucoma is the leading cause of irreversible vision loss worldwide and it is expected that the number of people affected by glaucoma will increase dramatically in coming decades due to the aging of the world’s population. Despite advances in ocular imaging and visual field testing, a substantial proportion of patients with glaucoma remain undiagnosed and present late in the course of their disease. At the same time, while several classes of drugs are used to manage patients with glaucoma, significant unmet needs persist in glaucoma care. 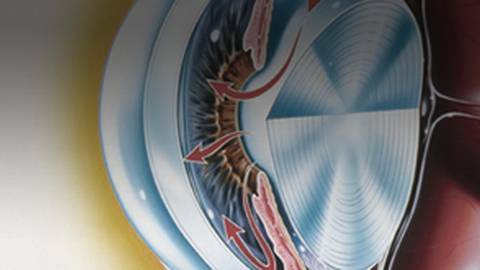 In this CME/CE-certified enduring activity, glaucoma experts will discuss new pharmacologic and surgical advances in primary open-angle glaucoma (POAG) and ocular hypertension. Expert faculty will discuss the unmet clinical needs in glaucoma management and will review recently approved therapies together with those in the pipeline that may influence clinical decision-making, and may result in optimum outcomes for non-compliant patients or those refractory to medical therapy alone. Through discussion of creative clinical case scenarios, faculty will also highlight important treatment strategies for glaucoma that ophthalmologists can readily incorporate into clinical practice. These may include reduced complications with MIGS stents and ocular inserts vs. definitive, invasive trabeculectomy; recommendations for single and two-drug failure, noncompliance, and new delivery systems that allow sustained medication release. This activity has been designed to meet the educational needs of Physicians, NPs, RNs, and PAs who treat patients with glaucoma. This activity is jointly provided by Postgraduate Institute for Medicine and HealthmattersCME. This activity is supported by independent educational grants from Aerie Pharmaceuticals, Inc., Alcon Pharmaceuticals Ltd., and Bausch & Lomb, Inc.